Coleman is a name that many of us have grown up with. The brand has always been a symbol of quality. In their HVAC lines, the Echelon Series is their very best. The Coleman Echelon Series AC8B central air conditioner offers high efficiency and performance. Blaine in Roswell, GA posted his Coleman Echelon Series Model AC8B 18 SEER central air conditioner price along with a cautionary tale for DIY enthusiasts. “I recently added the Coleman Echelon Series Model AC8B 18 SEER central air conditioner to my HVAC system but ran into problems during installation. I’ve done some research on this site and have often read that you should leave the installation to a professional. I’ve done just about every home repair and installation job there is and wondered how hard it could be, so I tried it myself. I bought the unit and the refrigerant lines from an online dealer and got a good price. I enlisted my brother to lend a hand. He brought his hammer drill from work and was able to get through the concrete basement wall in about an hour. I was working on the wiring and everything seemed to be going smoothly. However, while trying to braze the copper connections, I got a little aggressive and overdid one of them. While trying to rework it, I cracked one of the connections. Rather than try to cover the crack with material and hope it worked, I quit. The following Monday I called the local dealer and told him I had a repair situation. When he got there I told him what was up and he was cool about it. ‘Happens a lot’ he said and took a look at it. Long story short, he ordered the part he needed and came back a few days later to fix it. He also told me that I hadn’t properly removed the moisture and air from the tubing so that a vacuum could be achieved. I missed that part entirely. If I’d managed to get the unit working, it wouldn’t have functioned properly and may have led to mechanical issues with the compressor. The dealer went back through the entire installation. The wiring and everything on the furnace end checked out, so that was cool. And since we’d done the hard work of running the lines through the foundation he cut me some slack on that. Basically, with the part he supplied and the work he did, he charged me what he normally would have if he had done it from scratch. Here’s what I paid. 2-stage scroll compressor delivers balanced cooling without temperature swings. High pressure and low pressure switches installed to monitor and protect the compressor. Coleman Whisper Drive design and materials produce quieter operation. Redesigned fan is more effective and quieter. Heavy-gauge galvanized steel cabinet is coated with industrial powder paint to resist corrosion and fading. 10-year warranty on the compressor; 10-year warranty on all parts. Extended coverage is available. As Blaine’s letter points out, issues can happen with DIY installation. Proper installation of a central air conditioner takes a specific set of skills and tools/equipment even the handiest of us don’t often have. To maximize the performance, efficiency and longevity of your system, it makes sense to have a qualified contractor handle the installation. 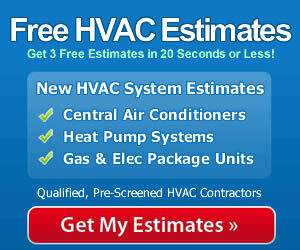 Shop for the best central air conditioner prices you can find, but don’t overlook locating an experienced professional to install the one you choose.